A. Gardner Books: Lucky is Reading Giveaway Hop! 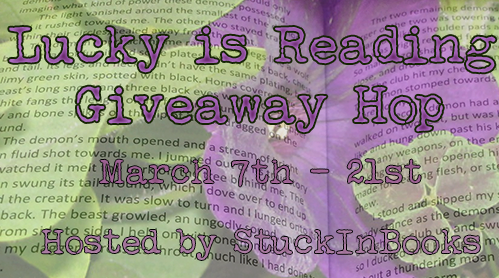 I'm happy to be participating in the Lucky is Reading Giveaway Hop hosted by Stuck In Books. I'm feeling pretty lucky right now because the release of my very first cozy mystery, Southern Peach Pie & A Dead Guy, is right around the corner! Are you feeling lucky too? Enter my giveaway below. Hey, maybe you will be the lucky guy or gal who wins? Thanks for stopping by!